Founded in 1919, the Society promotes fine drawing skills in both traditional and contemporary media. Today there are more than 130 elected members of the SGFA across the UK — professional artists from all areas of the art world who work in all drawing and printmaking media. 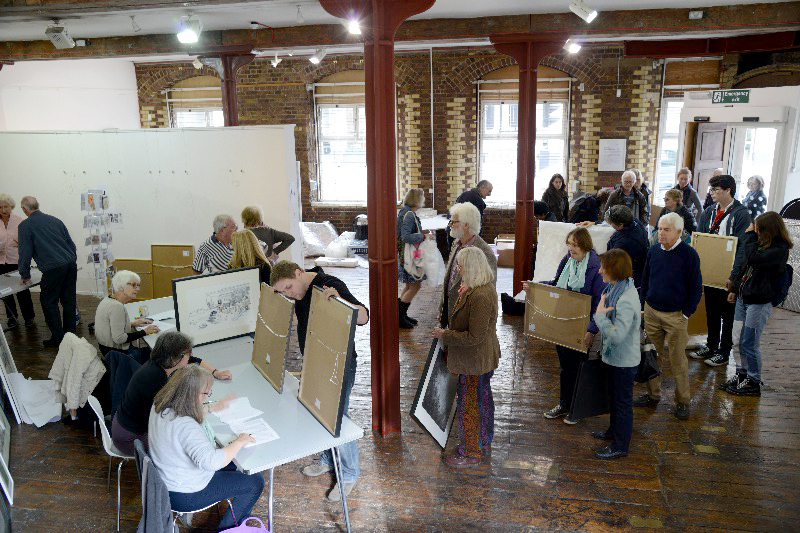 The Society organises events through the year, culminating in the Annual Open Exhibition with outstanding drawings by some of Britain’s finest professional artists, members and non-members alike. 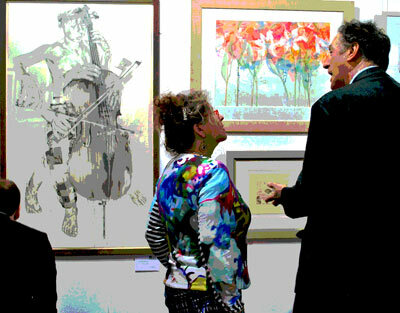 The Society also stages regional members-only exhibitions. The SGFA is funded solely by members’ subscriptions and is governed by an elected Council which meets regularly to administer its affairs. Membership applications are welcome and are reviewed once a year. Join us. Their first exhibition in 1921 was supported by members of the Royal Academy of Arts, together with many of the leading draughtsmen of the day. Thus the Society of Graphic Art was born (the word “Fine” was incorporated into the Society’s name some 65 years later). Sir Frank Brangwyn RA RE, the renowned muralist, painter, architect, illustrator and designer, became the Society’s first President in a line of distinguished leaders that continues today. Both Ronald Searle and the painter-printmaker John Piper exhibited with the society. Royal Academician Dame Laura Knight was one of the Society’s prominent past members. Honorary members today include Royal Academician Prof Ken Howard OBE , the award-winning illustrator Victor Ambrus, and Ronald Maddox, President Emeritus of the Royal Institute of Painters in Watercolour.